The following organizations and companies support FBR. Please show your support as well! Four Paws Only: At Four Paws Only, you’ll receive the very best in care and accommodations for your pet. A family owned and operated facility; we’ve been serving the Polk County community for 17 years. The New Barker: The New Barker is Florida’s top dog magazine, a lifestyle magazine for dogs and their people. The New Barker has always had a Rescue page on its website, supporting Florida shelters and rescue groups. Tails Of Joy – Elayne Boosler: Tails of Joy raises funds for the smallest, neediest rescue organizations all across the United States, and beyond. 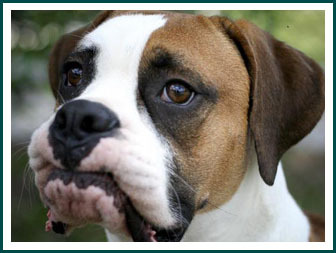 Elayne is an avid supporter, and friend of Florida Boxer Rescue. Gateway Media: Design – Print – Audio – Video – Web. All you need to succeed!! Official printer of the Florida Boxer Rescue calendars. Dog & Friends: At Dog & Friends™ our commitment is to canine & feline health and happiness. 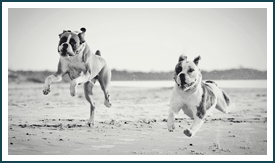 We strive to carry products that will enhance your beloved pet’s quality of life. Dog House Parties: Dog House Parties Parties is your one-stop solution to “Do-it-Yourself” party kits for dogs, catering to those who demand only the best for their pampered pooch. Humane Society for Shelter Pets: We are the only national group whose primary mission is to help animals at local pet shelters. K9 Korral: K9 Korral Dog Training & Supply Center offers a full range of Dog Training Classes as well as Doggy Day Care and Dog Boarding. Voted Best Training Center & Trainers 2009, 2010, 2011, and 2012. Pack Life: Todd Langston is Central Florida’s most trusted dog behavior expert. Pet Rescue Rx: A Pets Before Profits Pharmacy. Pilots N Paws: A nonprofit organization of volunteer pilots and plane owners willing to assist with the transportation of animals. 1-800-PetMeds: donates to rescues and shelters. Amy’s Canine Kindergarten: Amy is a Victoria Stilwell Positively Dog Trainer . Her titles are M.A., CPDT-KA, CGC Evaluator, CAP – 1, VSPDT. Sit, Down, Stay Dog Training: Maureen Henderson is CPDT-KA certified and is a member of the Association of Pet Dog Trainers (APDT). In her spare time, Maureeen volunteers her services with rescue organizations. The Wishing Well Barn: Event venue in Plant City that hosted FBR’s 14th Annual Boxer Bash.